Updated June 28, 2017: Some of the sites I used to have on this list are now down and new ones have appeared. If I’m missing any, please email me at [email protected]. One of the common complaints people and organizations have about OpenSim is that if they set up a private grid, they’ll have to create all the content from scratch. Employees will have to create their own hair, fashionistas will have to make their own shoes, teachers will have to create their own blackboards, and presenters will have to build their own PowerPoint projectors. That was, in fact, the case a few years ago, when OpenSim was still new. But times have changed. 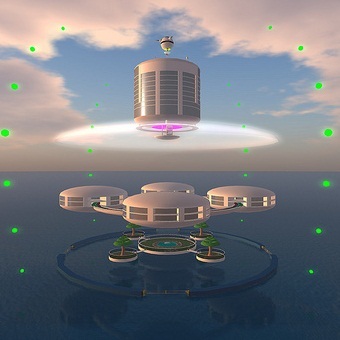 Today, schools and companies can transfer content from Second Life, buy it online, or go shopping on other grids and bring stuff back to their own grid via hypergrid teleport. Or they can get entire regions — also known as OAR files — and upload them to their grids. 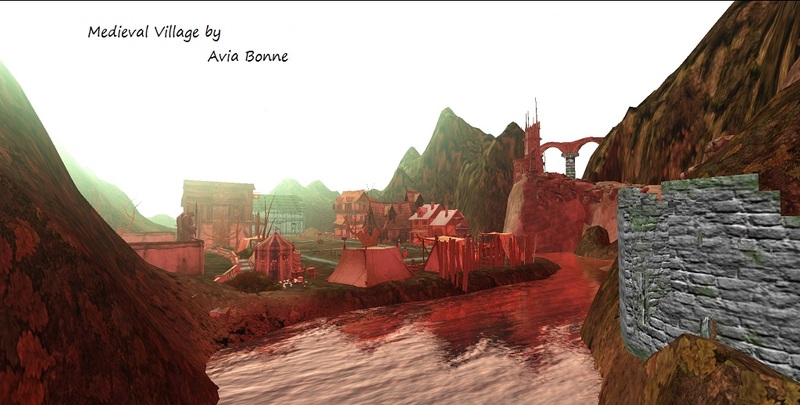 For more resource lists, check out Isis Ophelia’s OpenSim Free Resources. 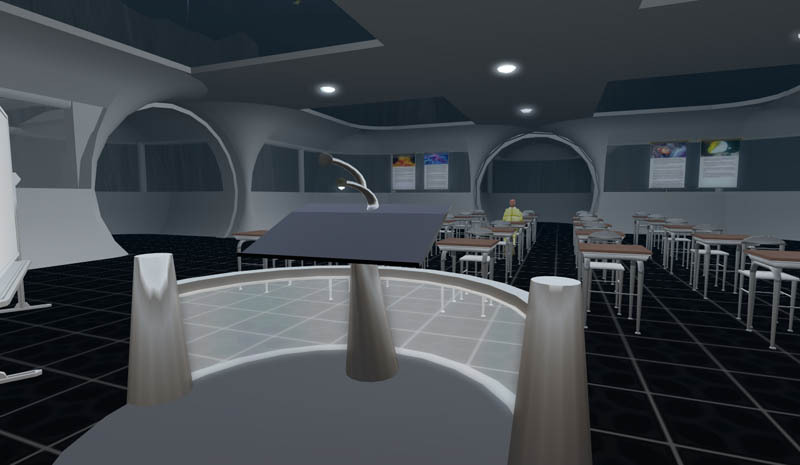 Several Websites are now offering content for OpenSim grids — some of it free. The largest and most technologically advanced online marketplace for OpenSim content, with instant delivery to all hypergrid-enabled worlds and several closed OpenSim grids. Payment either via PayPal or through Kitely Credits. Thousands of items in a well organized category tree, with the ability to filter by color, theme, maturity, payment options, permission settings, special occasion and more. Includes customer reviews, private and public wish lists, featured products, and sales. Demos available for many items. Excellent reputation for customer support. Fast account creation via Facebook or Twitter login, or through email registration. Grids that are not hypergrid-enabled can follow these instructions to change their configuration files to allow Kitely Market deliveries. 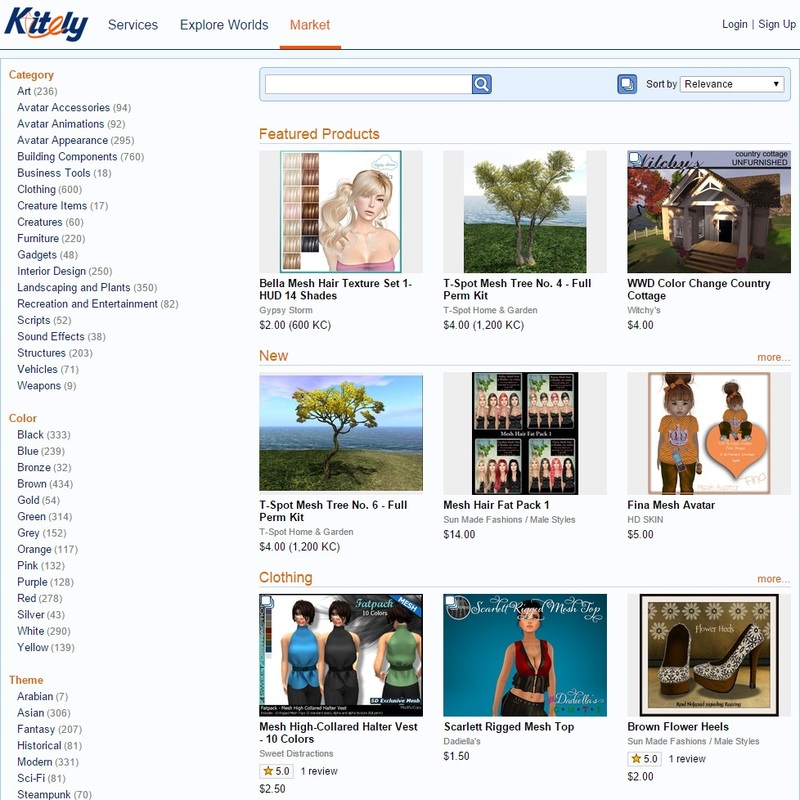 Kitely Market enables merchants to automatically deliver items to avatars in hundreds of public grids, and numerous private ones, from a single online store. You can Learn more about Kitely Market in this video. The full collection of all the Linda Kellie content — full regions in the form of OAR files, inventory folders in the form of IAR files, and individual content items in the form of XML files. 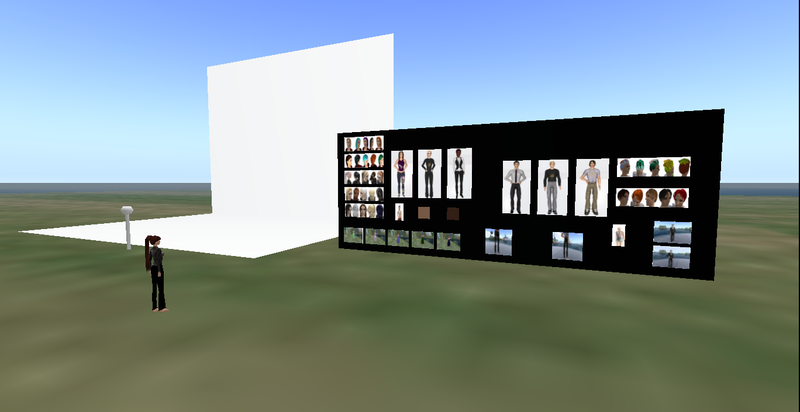 The XML files are ready to be uploaded item by item with the Imprudence viewer to any grid, including closed commercial grids and to Second Life. There’s a great starting collection of free skins, hair and textures. All items are her original creations and licensed with the right to copy and distribute the work, to modify it, and even to resell it, no attribution required (except where noted). This is the best site to find starting content for business and commercial grids, or to use as the basis of your own creations for commercial resale, not just because it’s all free, but because of the simple and clear license terms. 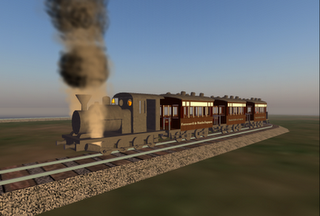 There are also sculptmaps, clothing kits, buildings, and a very wide variety of animations. More than 2,000 different free items — OAR region backup files, IAR inventory files, sculpts, meshes, and more. All distributed under the Creative Commons license. Also check out their collection of thousands of free, seamless textures, also Creative Commons licensed. And this page of free animations, building tools and avatar and skin templates. The second page of free tools includes open source breedables scripts, and a lot more scripting and animating tools. Finally, the site is home to Ferd Frederix’ entire free script library. 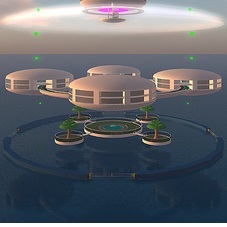 The site is sponsored by the Outworldz grid. A collection of free items by educational designer Ener Hax, best known for her I Live in Science Land blog. She is also known for the Sim-on-a-Stick distribution of OpenSim, a pre-configured, easy to set up version of OpenSim that can run on a USB stick. The site includes some OAR files, a collection of vehicles, and miscellaneous odds and ends. The content is distributed under the user-friendly “Full Enerific” license, which allows for any use, including commercial, with no need for attribution. All content is original creations, with no third-party components. KatiJack Studio is a virtual design firm specializing in landscaping and building. The company has a website up to share some of their creations. 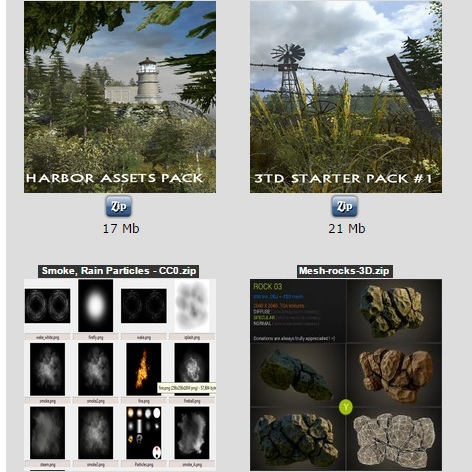 Currently, the site offers a selection of free terrains in the form of OAR files, and some texture sets. All items on the site are distributed under a Creative Commons license, and are free to modify and customize. Prebuilt OpenSim regions are called OARs, which stands for OpenSim Archive. It’s a backup file which includes the region terrain and all the objects, textures and scripts that are located on that region. OAR files are a great way to get a large amount of content up to your grid all at once. Many make great ready-to-go welcome regions or classroom settings. 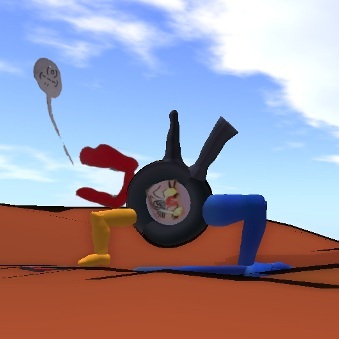 Similarly, an IAR is a complete inventory archive, a backup which includes all the objects, shapes, textures, scripts and other content in an avatar inventory. Zadaroo page of Linda Kellie OARS — Start your search for OARs here. Very large selection of starting regions (more than twenty at current count), including excellent freebie stores with all-original content licensed as free to use in any way, for any purpose, including commercial. Clothing, hair, furniture, buildings, textures, animations, landscaping, scripts, and scupts and templates of all kinds — everything you need to get a new grid going. Can be used to jump-start both private and commercial worlds. Individual items also available as XML files, for Imprudence uploads to any closed grid including Second Life. Content also available from freebie stores on most popular grids. Amazing resource, a must-see site for anyone considering OpenSim. Italian OpenSim Portal — A collection of rustic city, village and island-themed regions, distributed under the GPL open source license. US Army’s Military Metaverse — A collection of regions created for U.S. Army training programs and other federal agencies, distributed under a Creative Commons license. KatiJack Studio — Collection of free starting island regions. Outworldz OAR collection — Copies of the Linda Kellie OARS, in case Zadaroo is down, as well as a handful of OARs by other designers, all Creative Commons licensed. Free Mars simulator from Greenbush Labs’ Rich White. It is distributed under a Creative Commons Attribution 3.0 Unported License. Download Mars OAR. Maya Pyramid build by Dave Pentecost. Includes large houses with courtyards, small thatched palapas, and a model of the Temple of the Inscriptions Maya pyramid from Palenque, Mexico. Download Maya Pyramid OAR here. Condensation Land Club build by Zonja Capalini, includes the club building, trees, plants and torches. Distributed by Nebadon2025. Download Condensation Land Club OAR. EducaSim by Odomia’s Jean-Marie Louche, distributed free for non-commercial use. Includes classroom, video room, marked tutorial trail and an info house. Textures are not included.Download EducaSim OAR here. Nice starting collection of avatars, shapes, hair, and clothing from ReactionGrid’s Chris Hart, available under a Creative Commons license. Download ReactionGrid OAR here. A Klein bottle generator, and a Klein bottle by Zonja Capalini, distributed by Nebadon2025. Download Klein Bottle OAR here. OpenVCE, a group of conference buildings and associated materials from design firm Clever Zebra. Distributed under the GNU Lesser General Public License. Download OpenVCE OAR here. Nu Athens city build by Lordfly Digeridoo. Licensed as Creative Commons Attribution-Noncommercial 3.0. Distributed by Rexxed.com. Download Nu Athens OAR here. BioZone educational build by Peter Miller, distributed under a Creative Commons license. Download BioZone OAR here. Gone City by 3D artist Ruben Haan is a floating city in the sky. Garry Beaumont updated the OAR to add some missing floors, walls, and railings. Download original Gone City OAR here. Download updated Gone City OAR here. An educational game spanning several regions, designed to teach Philippine history. By Roel Cantada, distributed under a Creative Commons Attribution-Share Alike 3.0 Unported License. Download Philippine History OARs here. Universal Campus on a four-region island, by Michael Cerquoni (Nebadon Izumi), distributed under the CC-BY-SA license. Includes meeting rooms, laboratories, avatars, and more. Download Universal Campus OARs here. More OARs available here. A strange little green region by ff rustigaan. Check out the giant circular racetrack. All sim content distributed full-perm. 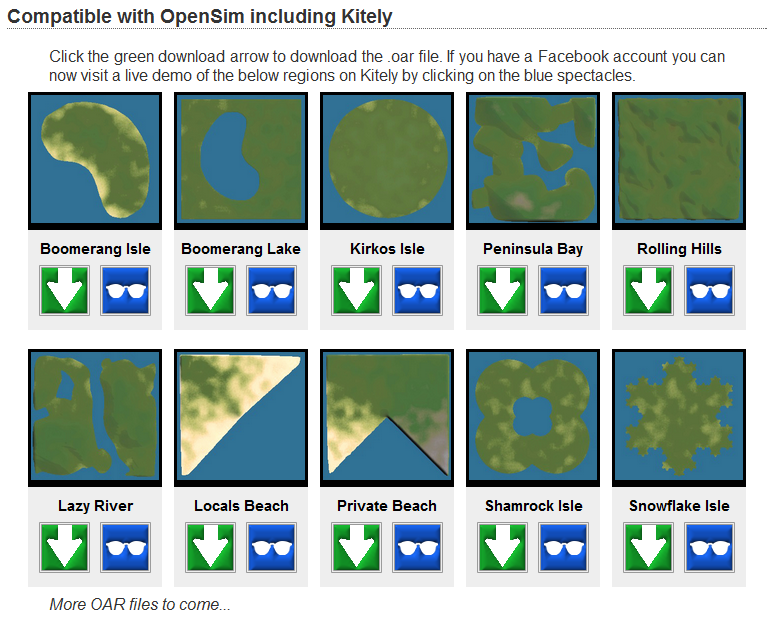 Download GreenSim OAR here. 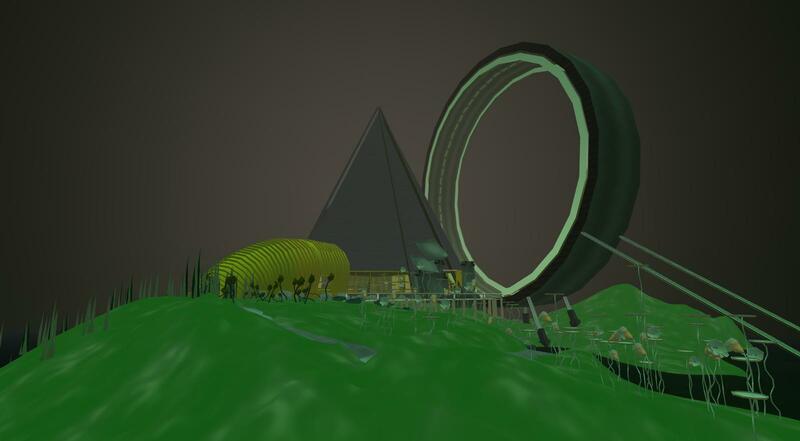 Kliederaar is a surreal build by the free culture artist Ruben Haan. Distributed under the Creative Commons Attribution-ShareAlike 3.0 Unported license. Download Kliederaar OAR here. A 1,390-prim Basilica build with bell tower by Roel Cantada, distributed under a Creative Commons Attribution-Share Alike 3.0 Unported License. Download PrimBasilica OAR here. Multi-region scripted plane and train game from Tokyo University of Information Sciences. Train station by Roel Cantada, distributed under a CC BY_SA License. Download Plane&Train OAR here. The Undersea Observatory is a lab located at the bottom of the ocean, complete with observation rooms, a classroom, and student-created exhibits about marine life. Download Undersea Observatory OAR here. The first OAR file from educational content designer Ener Hax, the Haxor Outpost 78-369. Distributed under the “Full Enerific” license which allows any use, including commercial. Download the Haxor Outpost OAR and other content here. The Medieval Village OAR file by Avia Bonne is free for personal and non-commercial use. Much of the content is mesh. The download page also includes other free terrains and OARs by Minethere Always. Download the Medieval Village OAR here. The Tomb Raider OAR file by Avia Bonne is free for personal and non-commercial use. Much of the content is mesh. The download page also includes other free terrains and OARs by Minethere Always. Download the Tomb Raider OAR here. A popular method of uploading dozens, hundreds, or even thousands of items to a grid at once is through the use of IAR inventory files. Be very careful about accepting IARs since different items may have different license terms and restrictions. Zadaroo page of Linda Kellie IARs — Much of the same content as her OAR files, but in easy-to-upload inventory form. Everything is original content, licensed for any use on any grid for any purpose, including commercial. Diva Distro’s Object Library — Not recommended for use in public or commercial projects due to a lack of clear provenance or license terms. MyOpenSim IAR files download page — Just a couple of items, including a hypergate and a small store front. Linda Kellie has made some terrains available as well. You can turn them into megaregion terrains by opening them up in a photo editing program like Photoshop or GIMP, resizing the file, then cutting it up into pieces. For example, if you want to turn a single region terrain into a terrain for a 16-region Kitely megaregion, resize the original terrain by 400 percent, then cut it into a four-by-four grid and save each square separately. The way I did it was by rotating and cropping, but there might be another way to do it to make sure it all comes out even. Otherwise, you might have to do some in-world smoothing at the edges. MB Estates has hundreds of free terrains in RAW format, both for individual regions and megaregions or varregions up to 100 regions in size. 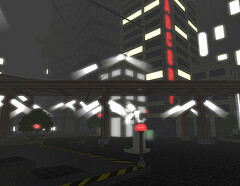 The terrains are also available in-world on the Metropolis grid. Teleport via hypergrid to hypergrid.org:8002:terrains. KatiJack Studio also has more than a dozen different single-region terrains for free download. 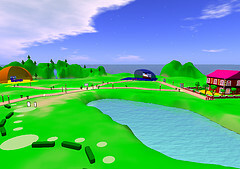 These are in the form of OAR files, however, so you’ll have to import them into, say, a local copy of OpenSim (Sim-on-a-Stick or New World Studio are super easy to use on a local computer) and import the OARs, then save the terrain using the region-estate tools menu and the “download RAW terrain” option. Then you can edit the terrain in an image processing file, stretch it out and edit if needed, and import it back again. Minethere Always has a nice selection of terrains on this Payloadz page. Almost all Second Life scripts work as-is in OpenSim, though there are some vehicle physics commands that haven’t been implemented yet. In addition, OpenSim has added some new commands, called OSSL functions. Start with Ferd Frederix’ free script library on Outworldz. You can also find some great scripts on the OSgrid forum script page. For more resources, visit our Free Scripts resources page. Meshes Can be imported into any OpenSim grid running a recent version of OpenSim. TurboSquid: The Internet’s leading marketplace for high-end 3D content in a variety of formats. Check license terms carefully, as use on open-upload virtual worlds many be prohibited. CGTrader: The royalty-free models can be uploaded freely, spokesman Vaidotas Silgalis tells Hypergrid Business. For premium models, ask creators for permission before uploading to OpenSim or Second Life. Renderosity: A large marketplace for low-cost 3D objects and some photographs, mostly in the Poser format. Read more about exporting from Poser to Second Life here (same principles apply for export to OpenSim). Site has a collection of free objects, as well. Google 3D Warehouse: Big collection of buildings and other 3D objects that you may “modify, distribute, and create derivative works of,” according to the license terms. 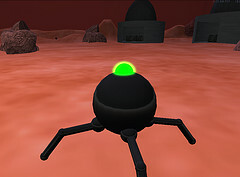 Objects are in the OpenSim-friendly Collada format. Advanced Distributed Learning 3D Depository: Run by the Department of Defense. Includes both military-specific items like airplanes and tanks and general-use objects like furniture. MakeHuman: Free downloable software for creating avatars. Blend Swap: Large collection of 3D objects distributed under Creative Commons licenses. Freesound: A site where users upload short pieces of sound, which can be used as in-world sound effects. Coffitivity: Free audio stream of a coffee shop. Great for providing background sound for a virtual meeting spot, or for adding background sound to a virtual workplace to increase productivity. WebTreats Etc: Free images and textures, for both personal and commercial use. Very large selection of seamless textures. BlenderCloud: Organized collection of CC0 textures, including fabrics, floors, rocks, plants and other must-haves. Pixabay: Large collection of public-domain images including some seamless textures. Unsplash: Beautiful collection of high resolution photos, all licensed CC0 (the public domain license). Compfight: Easy way to search for nice, Creative Commons-licensed images on Flickr. Doug Turner’s Free Texture Site: a small collection of free textures, original creations of Doug Turner, with some nice castle-themed ones. Not licensed for as-is redistribution. Blender Sensei textures: Small-but well organized collection of most commonly needed textures, free for commercial use, not licensed for as-is redistribution. Good Free Photos: Free public domain collection of more than 20,000 images, including a small selection of textures. About a third of the images are original travel photos taken by the site’s owner, Yinan Chen. Some viewers, such as Imprudence, allow individual objects to be exported in the form of XML object files. Linda Kellie objects: Very large collection of categorized objects — click on the “downloads” tab on this Zaradoo site. Licensed for any use, including commercial and resale. JPvdGiessen IT Consultancy: Variety of objects, including a number of buildings and houses, many of historic interest. Licensed only for non-commercial use. Even if your grid is a collection of empty islands, you can still log in and go shopping — if you’re hypergrid enabled. Most OpenSim hosting companies will hypergrid-enable your grid if asked, or hypergrid-enable individual regions. 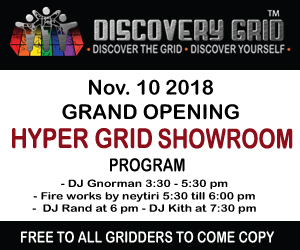 If you’re running the grid yourself, on your own servers, the Diva Distro comes pre-configured with hypergrid. Read more about hypergrid configuration here. There are downsides to being on the hypergrid, however. If your grid is behind a corporate firewall, you will have to punch holes in that firewall so avatars can fly in and out. You do this by opening ports, which many corporate IT departments are hesitant to do. If you plan to do a lot of hypergrid traveling, consider hosting your grid with an outside provider. A list of OpenSim hosting companies is here, and prices start at around $25 a month for a standard region. Another downside to hypergrid is that if you can get out, other people can get in. If your grid contains sensitive information, you may want to set up access controls on individual regions and set aside a public area for visitors to come and learn about your company and school. Here’s a list of places you can go for shopping. Samsara and Snoopies on OSGrid have been around the longest, with a great collection of free furniture, landscaping supplies, clothing and avatar accessories — but OSgrid is currently down. If you have content in Second Life that you created yourself — including all the constituent pieces of every object — you can use a paid product like Second Inventory or free tools like the Imprudence, Meerkat and Hippo viewers. Videos for how to use the Meerkat and Hippo viewers to do this are here and here (the process is similar for both viewers). 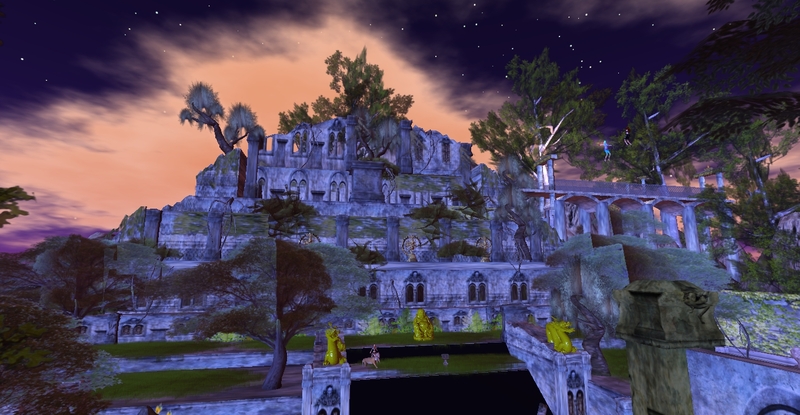 The most popular viewer for this, however, is Imprudence — and all the individual objects available on LindaKellie.com and OpenSim Creations were exported using Imprudence. Instructions for how to export content with Imprudence are here. Watch a video about it here. The Emerald Viewer also allows exports of items, not only those that you have created, but also those for which you have full permissions. Instructions for how to do this are here. If you have content in Second Life that was bought from third-party designers, you will need to contact those designers and get permission to move the objects to your OpenSim grid. You may need to pay extra for the additional license, and you will also need to ask the designer to provide you with export files or deliver the objects to your private grid. In addition, if the objects include scripts, you may need to ask them to check that the scripts will work in OpenSim — there are some minor differences in the way scripts work in the two platforms, and some tweaking may be required. By default, unless the creator specifically tells you otherwise, all content available on a particular grid is licensed for use on that grid only. And yes, that includes freebies and full-perm items. To avoid potential copyright infringement problems, do not accept free items from strangers — or from well-meaning acquaintances. It is possible in OpenSim to force owner permissions and perms for items on your own grid if you have administrator access. This is useful if you are the grid administrator for a corporate or school grid — you need to be able to move items around, modify them, or delete them whether you are the one who initially created them, or whether other company employees did. Once an item has been modified, the owner can easily forget what the original permission settings were, and start giving the item out to others. That opens up your organization to potential legal liability, so get your items from official distribution channels — established freebie stores or retail outlets. Today, most grid owners in OpenSim are aware of copyright issues, and the large public grids have policies in place to enforce creator rights. As a result, content owners have recourse if their items turn up in freebie stores without their permission. You will need to be careful, however, not to change the permission settings on the items you obtain. For example, if an item is set to “No Transfer,” and multiple employees need to have the same item, then the employees should get or buy their own copies of the object from the original store. There is a reason for this. Some content designers use freebies in order to attract traffic to their stores. Others may make certain items available for free only for a certain time period. In addition, a copyright violation may have been filed on the item, and it’s been taken off the shelves. If you absolutely must have additional permissions for an item, contact the designer directly. You may need to pay an additional fee to have a site license that allows you to distribute the item to all employees on your private grid. You may also be asked to pay an additional fee if you want modification rights to an object — for example, to change its colors to match your branding, or to add a corporate logo. Finally, it should go without saying that if you plan to sell or distribute an item you must get permission, in writing, from the original copyright holders for every object and its scripts and textures. In Second Life, the Linden Lab user agreement covers these issues, and you don’t need to have written agreements from every content producer. Outside Second Life, however, you don’t have that safety net. Work for hire: In a “work for hire” agreement in the United States, U.K. and a few other countries, all the rights of the work belong to the customer, as if the customers had created the work themselves. For example, when employees work on a project, all rights to the project belong to the employer. Many organizations now routinely require “work for hire” contracts from their freelancers and outside contractors so that the results of the work can be reused or adapted as needed, without having to go back to the original creator to purchase these additional rights. Companies may sometimes pay extra for a “work for hire” agreement. In a “work for hire” agreement, the original author never has copyright ownership of the work. Companies can use, modify, distribute or resell the work as they see fit. Sample text: CONTENT PROVIDER agrees that all work produced under the terms of this agreement is a “work for hire” in all jurisdictions where this provision is allowed by copyright law. All rights: If you’re dealing with international contracts in jurisdictions where a “work for hire” clause may not be enforceable, add an “all rights” provision to your contract. Companies can use, modify, distribute or resell the work as they see fit. Sample text: In all other jurisdictions, CONTENT PROVIDER agrees to assign all rights to the work produced under the terms of this agreement to COMPANY. Site license: This allows the content to be used on multiple grids and computers, and by multiple employees as long as its under the control of the company. The license may include limitations on the total number of grids, employees, or total copies of the object. The content may include embedded code that reports back how an object is used, and where it is being used, and the buyer may have to agree not to modify this code. Grid license: This allows the content to be used throughout a single grid — for example, a private company grid or school grid. The license may include a limitation on the total number of copies, or the total number of users. The content may include embedded code that reports back how an object is used, and where it is being used, and the buyer may have to agree not to modify this code. Individual user license: This allows the content to be used by a single user, but in multiple locations. The license can be further limited to include a single grid. The Second Life “no transfer” permission setting, is, in effect, a single user license that allows the object to be used only on the Second Life grid. Modify license: Content creators have the right to specify that their work be used as is, with no modifications, or they may choose to allow the buyer to modify the content. Credit rights: Original creators of content may stipulate that their name or corporate brand be preserved somewhere in the object, either in the name, description, or in an attached notecard, or they may give up the right to be credited for their work. Rights to constituent parts: In any contract that you send out for signature, insist that the content creators confirm that they have the rights to all the underlying materials used in the production of their content, such as textures, scripts, sculpies, and other items that go into making an object. This is not something you should be willing to negotiate away. In addition, if you have suspicions that the content provider may not be acting in good faith, you can ask to see their rights contract with the creators of the textures and scripts that they use in their objects, contact information for these original content creators, or sourcing information for all items in the public domain. If the content provider is reliable and responsible, they should have no problem coming up with the required documentation since they keep everything in an organized way for their own records, in case a problem should arise. If they aren’t able to come up with this documentation in a prompt and complete manner, it can be a warning flag that the content is in violation of copyright law. Some content creators may complain that they can’t track down the original owners of the content, and that re-creating the textures or scripts from scratch would take too much work, but that they “know” it’s okay to use the content. Unfortunately, memories are fallible and you might wind up with infringing content embedded in objects throughout your corporate grid, as future employees and designers build upon these works. Even if your grid is not open to the public, and the likelihood of theft being discovered is low, it would be highly embarrassing — and expensive — if a future visitor to your grid discovers infringing content embedded through your builds. Sample text: CONTENT PROVIDER affirms that the use of the CONTENT will not violate the rights of any third party. CONTENT PROVIDER shall indemnify the COMPANY, its successors, assigns and licensees, and the respective officers, directors, agents and employees, from and against any and all claims, damages, liabilities, costs and expenses — including reasonable legal fees — arising out of any claim that the CONTENT infringes the rights of any third party. Open source does not equal free. Open source means that you are able to look a the source code of software. Some open source software is free. OpenSim is free to download, for example. But individual custom distributions of OpenSim — such as debugged and stabilized versions, or versions modified to work with corporate back-end systems — can cost money. The Diva Distro is free. But IBM’s Lotus Sametime 3D version of OpenSim costs $50,000. Free does not equal open source. Free means you don’t have to pay any money — not that you can open something up and look inside. For example, Microsoft distributes free trial versions of software with Windows. That doesn’t mean you can hack into that software and see how it works. Similarly, an item from a freebie store may allow you to modify the item, or it may restrict modification rights. Just because it’s free, doesn’t mean you can hack it and modify it. If you are technically capable of doing something, that doesn’t mean you’re allowed to do it. Yes, you can give yourself administrator rights and strip protections from items. But that doesn’t mean you have the right to do it. Similarly, if you buy content from a provider with a restricted grid license, the permission setting on an item may allow you to take it off-grid — there is currently no way to flag items as only for a single grid. If the copyright agreement is grid-specific, the agreement wins out. In another example, if you have a region on an OpenSim, you are technically able to save a copy of the entire region and distribute it to anyone else, but you don’t have the legal right to do this unless you have the distribution rights for all the objects in that region. If the technology is more restrictive than the copyright agreement, you can change the technology — but only on your own grid. For example, if your employees create content on your grid under “work for hire” laws, your company owns all the rights to these objects, but the “creator” settings will show the names of the individual employees. You have the right, under copyright law, to go into the asset database for your grid and change these creator names to the company name, or perform any other modifications on these objects that the company requires. However, if these objects reside on a third party grid, such as Second Life, then the agreements you have with these grid owners may supersede your copyright agreements with the content creators. Some grids may allow you to reassign ownership rights on objects, if you have the copyright agreements in place, but that would require individual negotiations with the grid management. Just because it’s on the Internet, doesn’t mean it’s free. This should go without saying, But sometimes people forget, and think that they can copy content to use, say, in a presentation or an internal document. There are limits to fair use. Just because you can copy-and-paste a graphic or text from the Web, doesn’t mean you have the right to use it to create a virtual object on your grid. Check to see what licenses are being offered, if any. Fortunately, the Internet is full of places to get royalty-free or low-cost images and other content to use in your builds, if price is a factor. Finally, a disclaimer: the above information is for general information only, and is not intended as a substitute for professional legal advice.